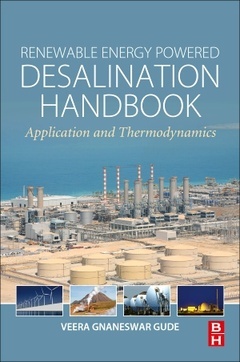 Renewable Energy Powered Desalination Handbook: Applications and Thermodynamics offers a practical handbook on the use of renewable technologies to produce freshwater using sustainable methods. Sections cover the different renewable technologies currently used in the field, including solar, wind, geothermal and nuclear desalination. This coverage is followed by an equally important clear and rigorous discussion of energy recovery and the thermodynamics of desalination processes. While seawater desalination can provide a climate-independent source of drinking water, the process is energy-intensive and environmentally damaging. This book provides readers with the latest methods, processes, and technologies available for utilizing renewable energy applications as a valuable technology. Desalination based on the use of renewable energy sources can provide a sustainable way to produce fresh water. It is expected to become economically attractive as the costs of renewable technologies continue to decline and the prices of fossil fuels continue to increase.